Store, transport, and protect three Torpedo Lights and related accessories in the water, dust, and crushproof Hard Case for Genaray Torpedo Three-Light Kit from Genaray. 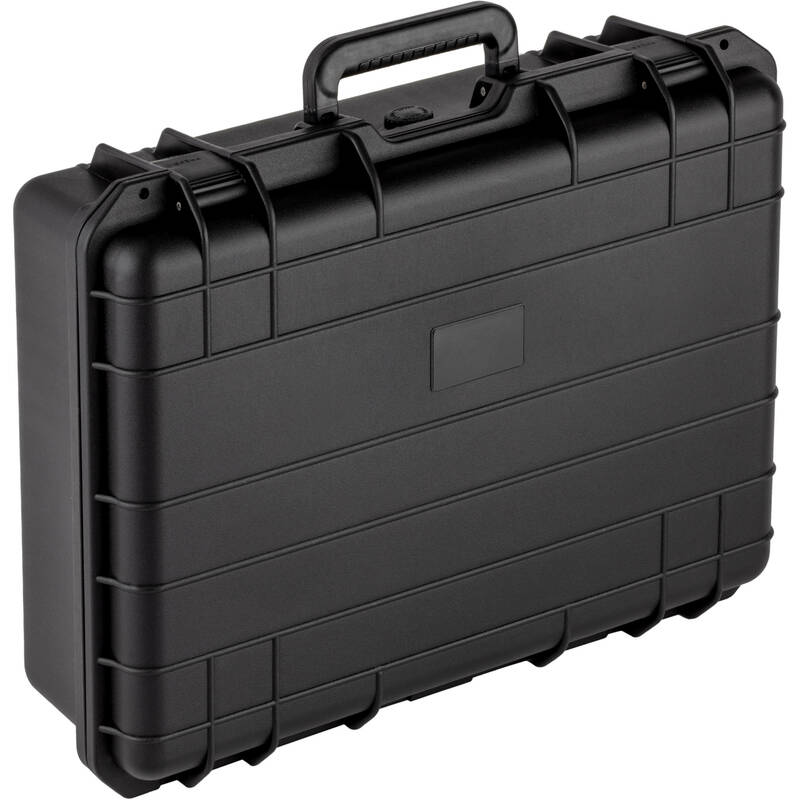 The case is black and features lid foam, custom-cut interior foam, a latch closure, and a manual pressure release valve. Plastic hasps may be used with optional padlocks. Carry the case with the large carry handle. The molded foam interior is designed specifically to cradle your Torpedo lights. It prevents your lights from rattling around in the case, even in the event of sudden stops, bumps, or drops. The double-snap closures keep your case shut tight, so the watertight seal can do its work. Special pull tabs on each latch ensure that they won't open accidentally. If you experience altitude or air pressure changes, the pressure release valve will equalize the internal pressure of the case. This allows the case to open easily, and you won't need to pry your case open and risk sending your lights flying. Box Dimensions (LxWxH) 20.6 x 16.6 x 8.6"